In one aspect, airplanes are “time machines” since a primary benefit of their use is the efficient use of time. Our Minneapolis based FLAPS Cessna 182 is used to transport AFLC staff and ministry personnel around the country to ordinations, AFLC info meetings, and specific situations that require a personal visit. A trip that would ordinarily take three days by car can be cut to one day when traveling by air, resulting in efficiency, productivity, and safety. 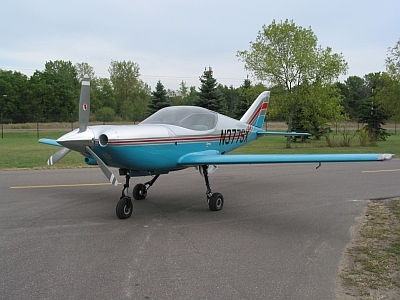 FLAPS operates three small aircraft. 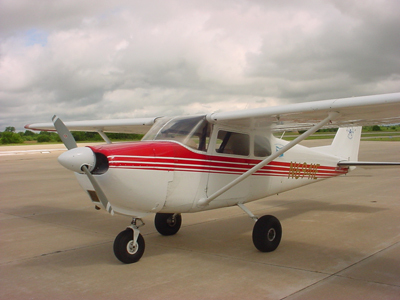 Our Minneapolis based Cessna 182 is used by AFLC staff and ministry personnel in the “Lower 48”. Our Naknek, Alaska fleet consists of a Cessna 175 and a Piper Cherokee Six, flown and maintained by AFLC pastor/pilot Jeremy Crowell. Airplanes are essential for reaching the 100+ villages in SW Alaska that aren’t accessible by roads. The plane not only transports local missionaries, but a variety of ministry cargo, e.g. a portable generator, radio equipment for the KAKN Christian radio station, native youngsters to Bible camp, etc. Support for this ministry takes many forms. Many people are praying faithfully for FLAPS, some have donated airplanes, and others support this work financially. Those who support this unique ministry with their God-given resources, help convey the Gospel message of Jesus Christ! Rural Alaska is unlike any other part of the United States. Its unique wildlife, rugged terrain, unusual moonlit days in the winter and sunlit nights in the summer, all display God’s power and creativity. The state of Alaska is 1/5 the size of the lower forty-eight states and two and one-half times the size of Texas. Yet, it has less than 700,000 people. About one-third of the population lives in Anchorage, which gives you a perspective of how much remote area there is in the state. 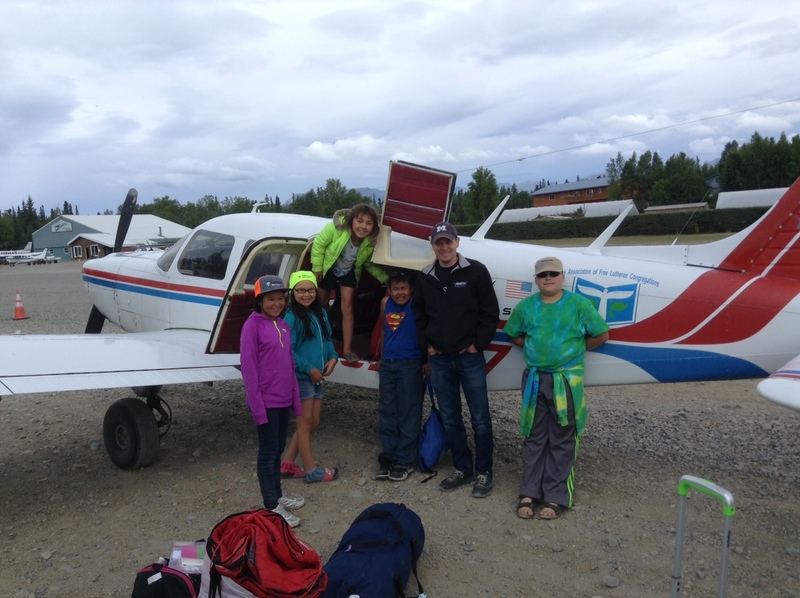 The airplane provides quick transportation and is often the only access to many villages in SW Alaska. Naknek, AK is 300 air miles SW of Anchorage in an area where there are only 15 miles of paved road. Air transportation is essential for reaching out and ministering in Alaska. 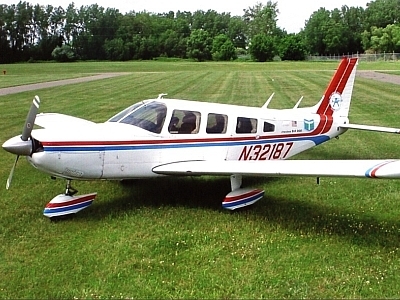 In 2001, a Christian man and wife from the Midwest sold FLAPS a low time, six-seated, 1974 Piper Cherokee Six airplane at a discounted price and very attractive purchase terms. The Cherokee Six carries up to six people at about 155 mph. In the Fall of 2011 it was flown from Minneapolis, MN to Naknek, AK, where it is now stationed full time for SW Alaska ministry. 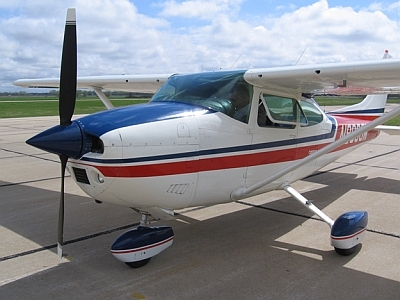 ​In early 2007, another great blessing was received when the Richard & Edna Reinke family from Nebraska gifted a low time, exceptionally clean, 1976 Cessna 182 Skylane airplane to FLAPS. This airplane carries four people at about 145 mph. In 2003, a Christian medical doctor donated a fast two-seated, 1991 SX300 airplane that carries up to two people at about 260 mph. Early in 2008, Lutheran Mission Society (LMS) transferred their Alaska aviation ministry to FLAPS, Inc. Included was a four-seated Cessna 175 airplane especially equipped for Alaska bush flying and a 42’ X 48’ hangar at Naknek, AK. The C-175 is actively used to transport mission personnel and supplies in southwest Alaska. Copyright © 2019 FLAPS Inc.